The Mihama Cape is a narrow long accumulation of sand and gravel in the form of a ‘spit.’ The landform has some resemblance with a long beak of a bird. Such sand spits are created when the gravel and fine sand washed in by the waves accumulate in the quiet baymouth. 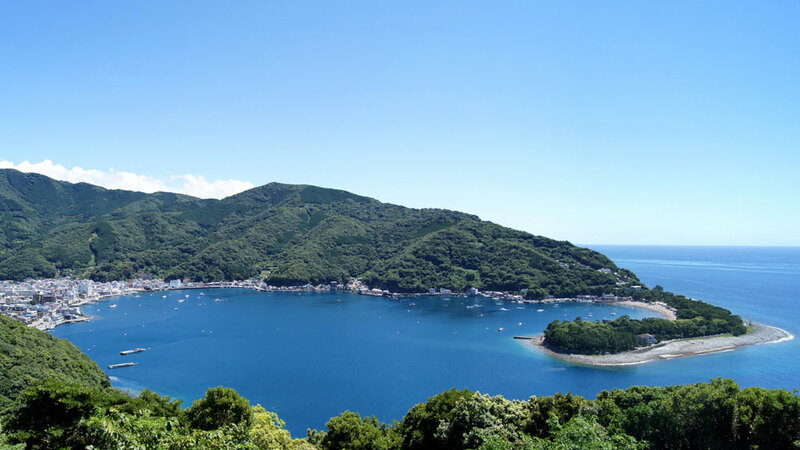 The Suruga Bay that widens outside the Heda port is the deepest bay in Japan. It is one of the most biodiverse water bodies off Japan as well. The port is also renowned for fishing, the spider crab and deepwater fishes are some of the specialties. The Suruga Bay Aquarium and Repository are valuable sources for knowing about the ecosystems of the bay. The coastal Inumaki woods are one of the designated prefectural monuments. Some of these trees are over 100 years old and form a good buffer from large waves.